Back in 2012, the US Department of Agriculture proposed new regulations for processing chickens. These included speeding up the processing line from 140 birds a minute to 175 birds a minute. At the same time, the number of federal inspectors would be reduced. 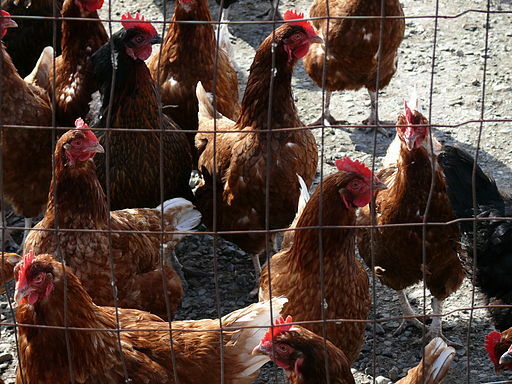 This head-scratching equation would supposedly save money and allow inspectors to pay more attention to the plants and less to the individual chickens, thus also reducing food-borne illness. In fact, most of the inspection of animals on the line would be performed by factory workers rather than federal employees. These measures have still not been enacted. As Renee Schoof recently reported in the Charlotte Observer, a group of senators, led by North Carolina Democrat Kay Hagan, recently signed a letter to Secretary of Agriculture Tom Vilsack requesting implementation of the proposed new rules. These new rules are a terrible idea on many fronts. Recent salmonella outbreaks owing to chicken from Foster Farms and Tyson surely show that more inspection, not less, is necessary. Squirm-inducing accounts of a cockroach infestation at a Foster Farms plant in California would seem to underline that necessity. Moreover, as many have noted, these new rules are bad both for the chickens and for the human workers who process them. Inhumane deaths for the chickens are more likely in a faster-moving process, and the kind of repetitive stress injuries that Eric Schlosser reported in Fast Food Nation a decade ago would be even more likely. So why are these senators supporting this action? Kay Hagan faces a tough re-election campaign this year in North Carolina, a center of chicken processing. The same is true of Democrat Mark Pryor of Arkansas. But not all of the senators who signed the letter are facing reelection this year. Ignoring the health of your constituents does not seem to be good politics to me.